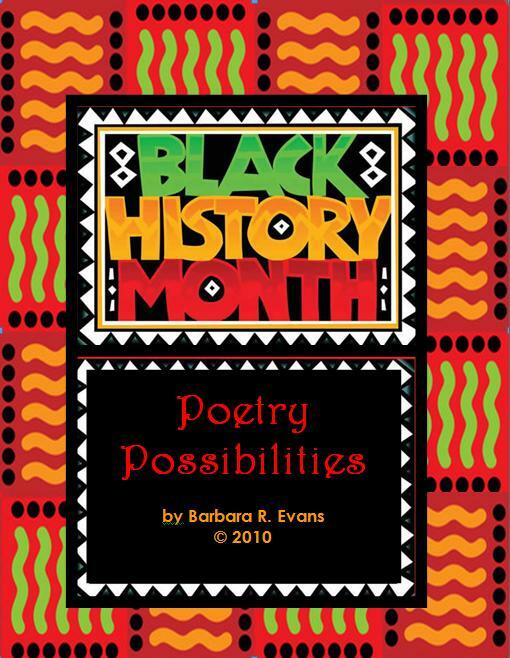 One of the things I love to do with my students is immerse them in poetry because it offers so many teaching possibilities. Naturally you can focus on poetic structures and poetic devices. But have you ever used poetry to teach reading skills? Because poetry is usually short and the message concise, it's a perfect venue for studying vowel sounds, contractions, punctuation, parts of speech, syllables, rimes, inflections, .... The possibilities are almost endless. It's always good practice to relate these skills to what is being read. Practicing skills in isolation may transfer to reading skill building; then again it may not. 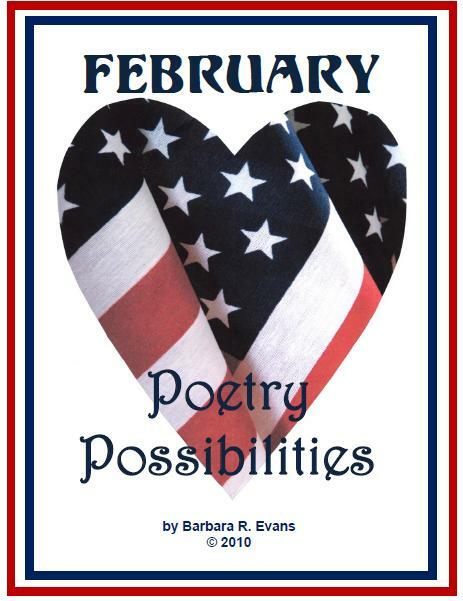 Each poem has reading skills already built into it. All you have to do is look at it with a "reading skills eye." Thus, if the poem is replete with a particular consonant blend, use it in a guided reading lesson about that blend. If the poem has a sprinkling of contractions, devise a review lesson about contractions using the poem. 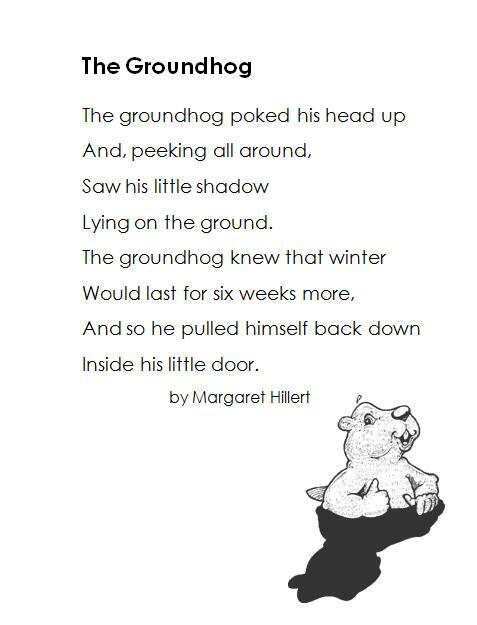 As an example, look at the following poem, noting that it has several compound words in it. Due to the structure of a poem, it is easier for young children to locate the compound words. If you reproduced this poem on sentence strips for use in a pocket chart, that would facilitate identifying the compound words as a group. With a little magic and masking tape, you could make the compound words come apart. Alternately, you might focus on the punctuation and how it helps the reader to read with expression. Or, you might choose to conduct a mini-lesson on the inflections -ing and -ed. 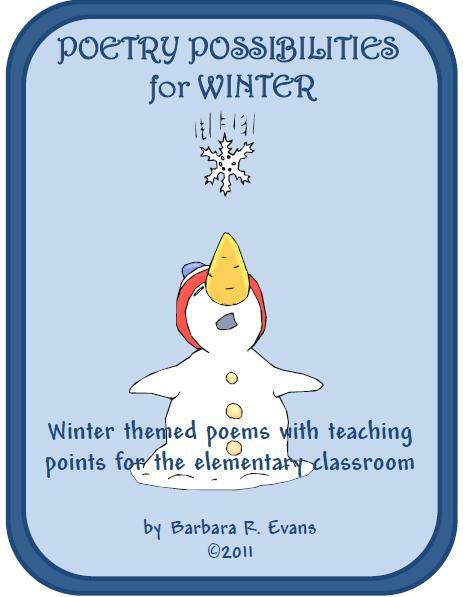 As a reading specialist, I highly recommend using poems for guided reading lessons and review lessons. It has always been a favorite activity of my remedial students if for no other reason than they had less text to conquer. 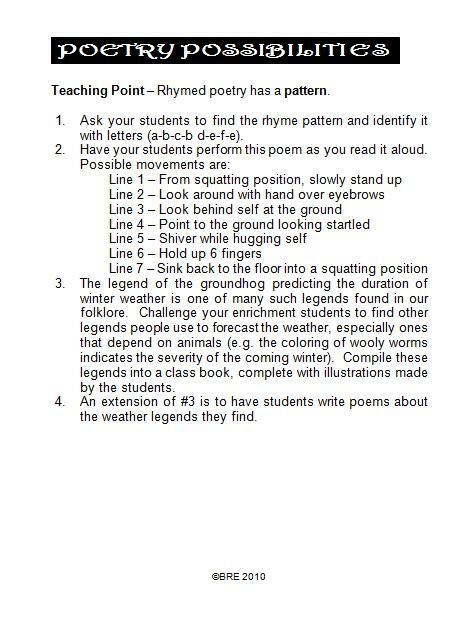 As item #3 indicates, poetry can also be a launchpad for differentiating instruction. Gifted and talented students deserve and require our attention, but it can be quite taxing to provide extensions for them. I have dedicated most of my career to creating challenges for G/T children. Most of my products on TpT reflect that commitment. I hope you will go here to check out my critical and creative thinking products. 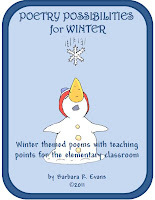 If you are interested in more seasonal poems with teaching points and skill suggestions, visit my TpT store here for February poems and possibilities. 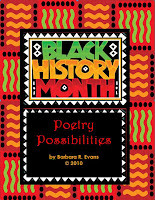 You may also be interested in Black History Month Poetry Possibilities. Just a word of caution: reading poetry is principally about creating enthusiasm for reading. Take care not to defeat that goal by always turning poetry reading into a skill drill.